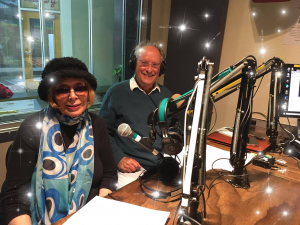 Ariadne’s Notes: On April 4, 1-2 PM PST, the World Poetry Café, 100.5 FM, CFRO had a great show with featured guest and WP Radio host, Diego Bastianutti. Diego had just come back from spending two weeks in Cuba and was able to share with us a fascinating glimpse of life in Cuba. The radio show was in Spanish, English and Italian with poems by Diego also in Spanish, Italian and English. When I was working with Survivors of Torture, I arranged for a young man from Central America to get the medical treatment he needed in Cuba for free. We only had to raise the airfare. The treatment made a big difference in his life. *Diego says that there are two Cuba’s , one wealthy by the tourist trade and one for the Cuban people. *Due to the US Blockade, there is a rationing of food staples. Also due to the blockade , other countries are not allowed to trade with Cuba. Each person has a rationing card for basic foods. *The markets mostly have Cuban soft drinks and very little else which has causes health problems. This is due to lots of sugar cane which is abundant. One person told Diego that he had not been able to get any butter for three months. *Education from kindergarten through university is free as is a high standard of comprehensive medical care. Doctors trained in Cuba are in great demand all over the world. *Everyone has housing and if you buy a home, your mortgage rate is 10 % of your income. The Literacy rate in Cuba is 100 %. Books are plentiful and cheap. 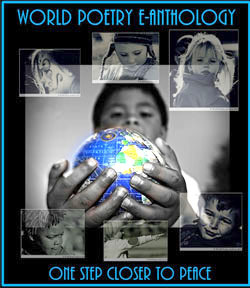 They are from all over the world without restrictions on topics. *While Diego was there, a new constitution was being written with input from all the communities. Every point was discussed and put down for review. To know more, please listen to the show. CLICK HERE! *Please wait. for some reason, the link is not working again! Diego Bastianutti is in the process of editing three books being published which are being published at the same time. Originally from Fiume, Italy, he has crossed many borders separating States as well as “states of being.” Diego is at ease with various languages and cultures. A retired Professor of Spanish and Italian literature, and former Honorary Vice Consul of Italy. He has received wide recognition here and abroad for his work as a writer, poet and translator. Among his works he counts five volumes of poetry and his awarded book A Major Selection of the Poetry of Giuseppe Ungaretti. 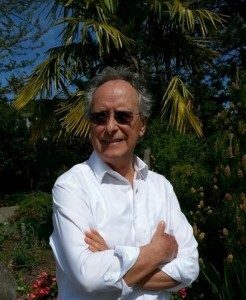 Currently he is a Canadian correspondent for an Italian literary magazine in San José, Costa Rica, and a member of various writers’ associations. His writings have become material of study in a graduate course offered at the University of Toronto. A forthcoming book published by the University of Toronto Press will feature an entire chapter on Bastianutti the poet and writer. By Diego Bastinutti, (C) all rights reserved. This entry was posted in Ariadne's Notes, E-Poets, General and tagged Author Sharon Rowe, Dr. Diego Bastianutti, International Peace Award Ariadne Sawyer, Katherine Gordon, Victor Schwartzman on April 5, 2019 by Ariadne.